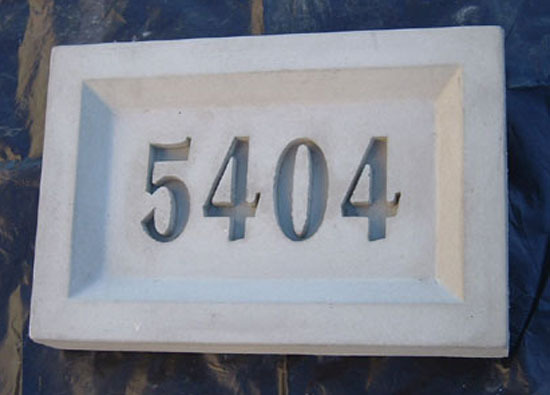 Precast concrete address blocks (markers) are installed in the brick or stone veneer of a home or building. They can be placed near the front door, over a garage, window, or other entrance, or in a brick mailbox on the street. 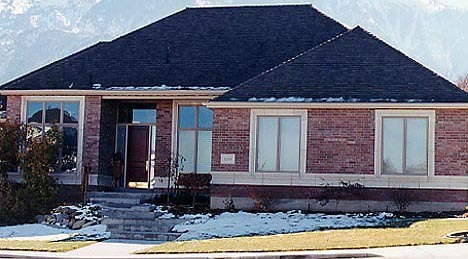 Blocks can be made thinner with attachments for use on a stucco home. 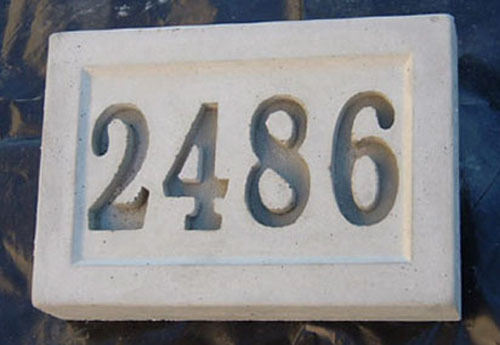 Address blocks are designed for addresses up to six numbers. The numbers are ¾" deep and can be easily read from the curb of most streets. Font style is Garth Bold. Custom font styles are available. Where one to three numbers are needed, a larger font can be used. 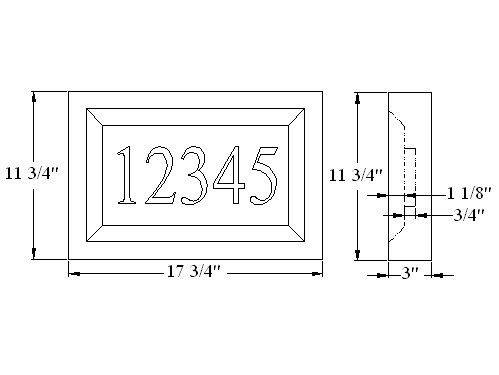 Address blocks come in 4 styles: 9"x13", 10"x18" scrolled, 10"x18" plain, and 12"x18". Pricing does not include taxes or shipping. 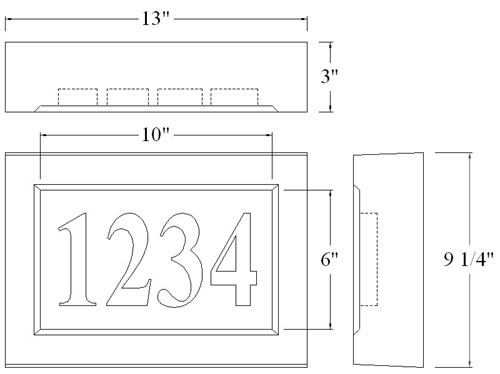 9" x 13" address blocks weigh 27 pounds. Address blocks are available in these standard colors and other desired colors. Colors may vary depending on monitor resolution.